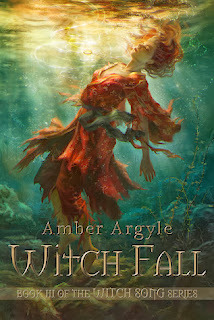 My friend Amber is releasing the third book in her Witch Song series today! I am so excited for her! 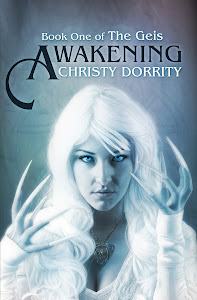 I love this trilogy, and the first book is even in one of my Book Blogger's Cookbooks! Han looked at her, his eyes as dark and depthless as the deepest part of the ocean. His gaze shifted to her mouth and she could have sworn she felt the pressure of his gaze on her lips. She moved forward a fraction, until there was nothing between them but sunlight. Then there was nothing between them at all. His lips were on hers, not claiming, not possessing, simply wanting. Needing. Lilette had never known how full of need he was. How dark and empty the spaces in his soul must be. He drank her in like she was light and hope and he’d been a starving man all his life. For Lilette, it was like his touch let her shine. Like she’d been shattered into a thousand specks of light and he brought her together—made her whole. She nodded. “I’m glad.” She trusted no one else with this. Han hesitated, and then kissed her briefly. “Be well, little dragon.” He turned and walked away. Lilette watching him, waiting for him to move out of sight before she allowed her legs to go soft. Let herself sink into the loam. She didn’t cry. She just waited for the aching to fade enough to get to her feet and keep moving. Get Witch Song (Book One) FREE! !